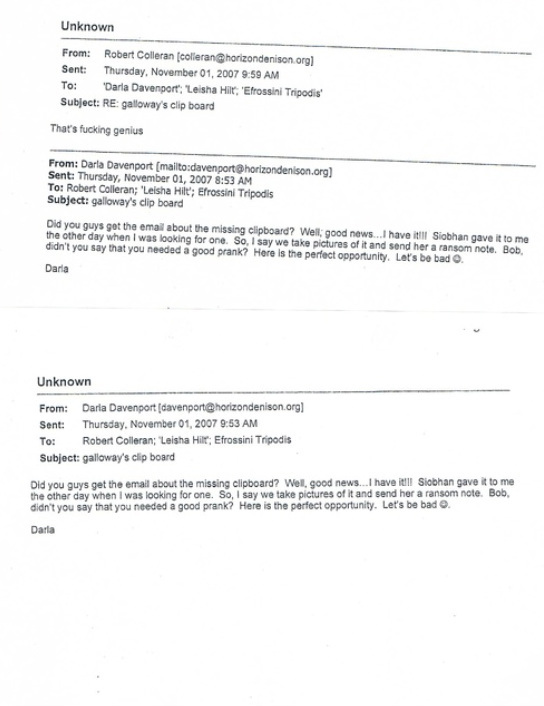 American Teachers Behaving Badly - CHARTER SCHOOL WATCHDOG http://www.charterschoolwatchdog. 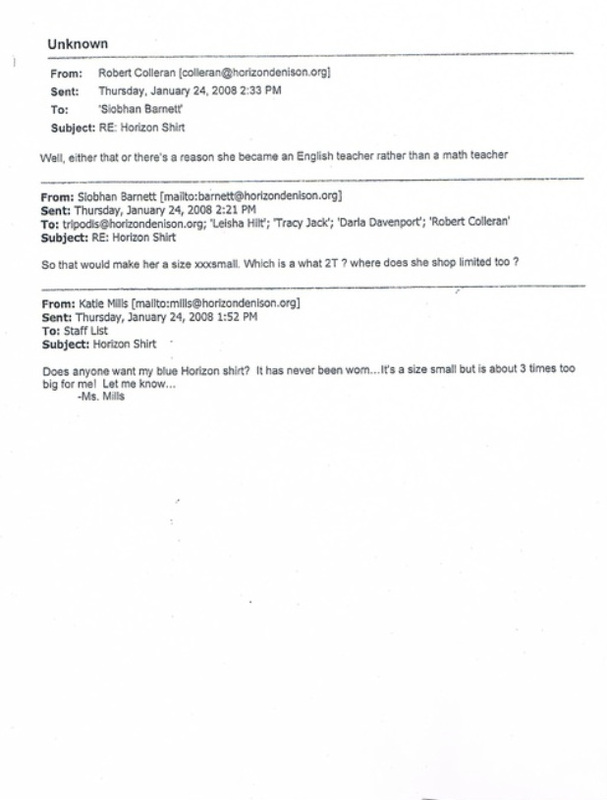 We wanted to take a break from the Turkish shenanigans, and share some of the not so ethical behavior of some of the American teachers working for Concept Schools. 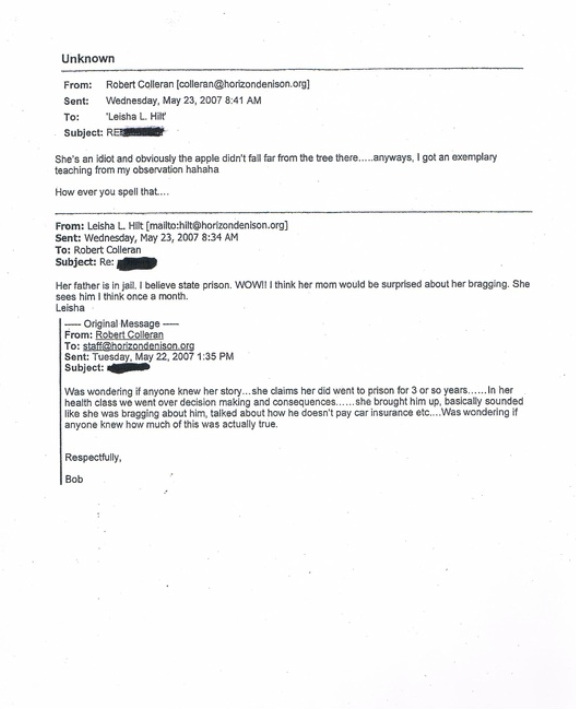 Note the dates on the emails -- it's important because most of the offenders in the emails -- the bullying teachers, are still employed by Concept Schools despite complaints filed against the teachers. 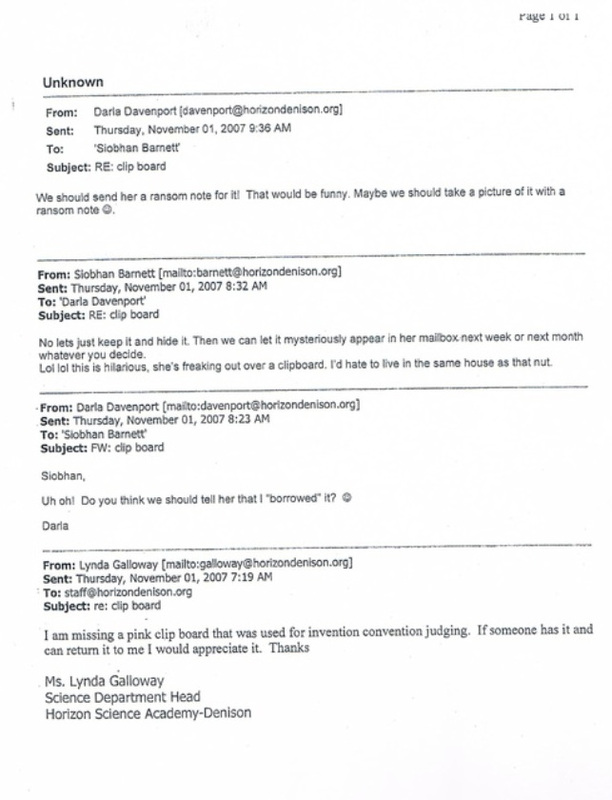 More specifically, these emails, along with hundreds more equally as disturbing were given to the Horizon Science Academy Denison's School Board in September 2008. 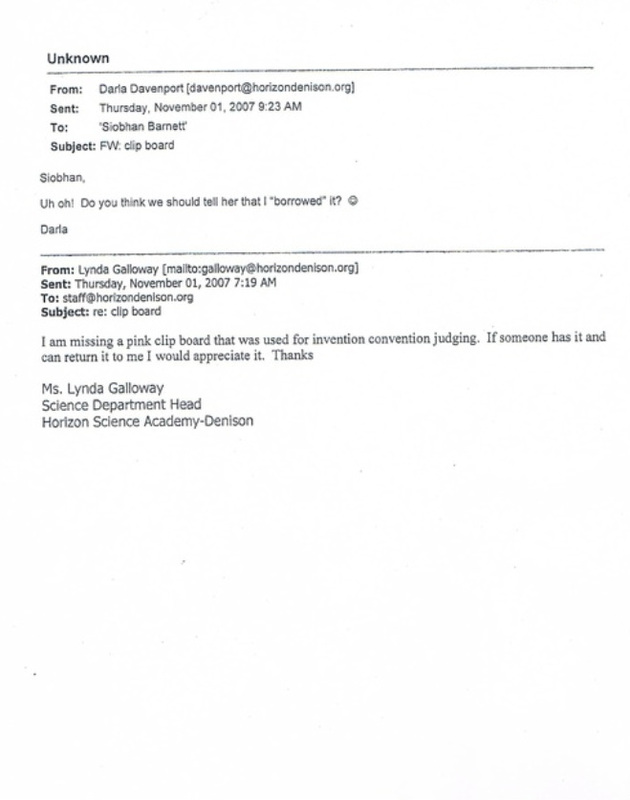 The Board's paid consultant Mark White, (who by the way they chose), did his "investigation," and staff interviews, and as part of his conclusion, he determined, "In my opinion, some of the emails were inappropriate and potentially in violation of Horizon Science Academy's Internet Use Policy." Do you think so Mark? 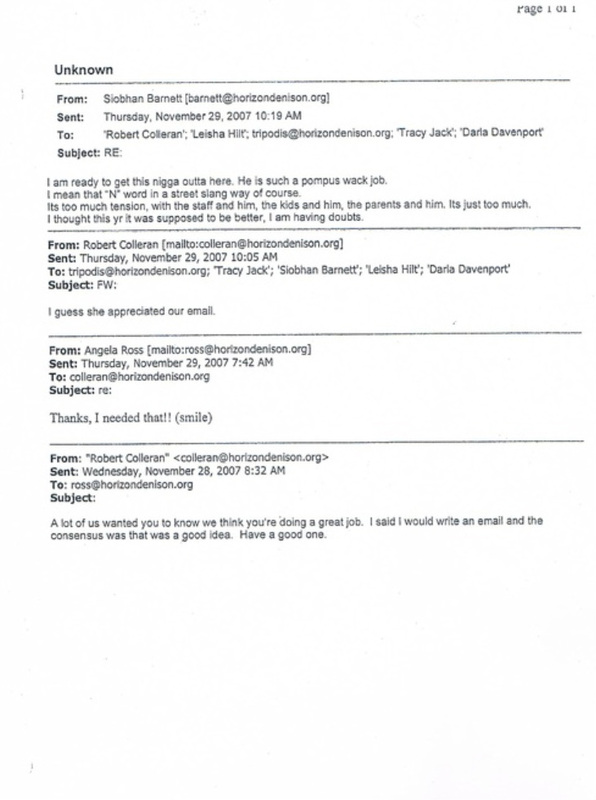 He further recommended that " The entire Horizon Science Academy would benefit from diversity and/or harassment training. 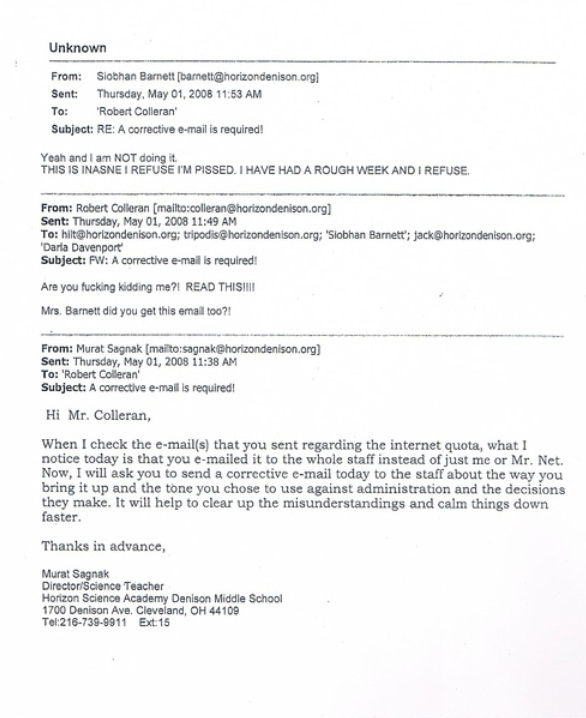 Finally, to the extent the Board can verify the authenticity of the emails in question, written reprimands would be appropriate for staff members who, in the opinion of the board, abused Horizon Science Academy's Internet Use policy for unprofessional conduct." 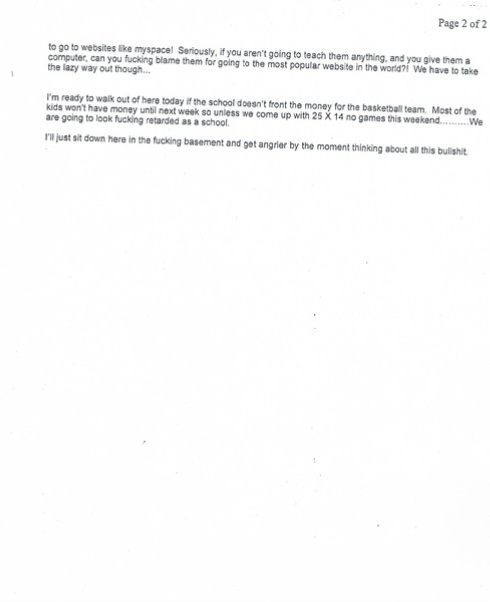 So let's dissect White's conclusion -- the paid investigator (paid by the Turkish Board) found no evidence of serious harassment despite the offenders making sexually harassing, racist, and other derogatory remarks against other staff members in emails on the school computer during school hours. 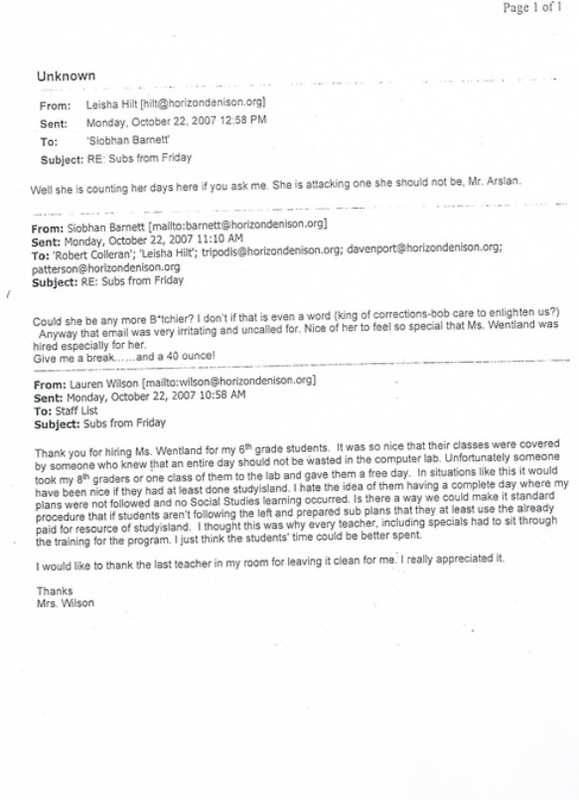 Nor did he find that the Turkish Director, was negligent and/or intimidated by the bullies, and therefore, not responsible (despite being the school director -- which means he is responsible for what happens at the school). 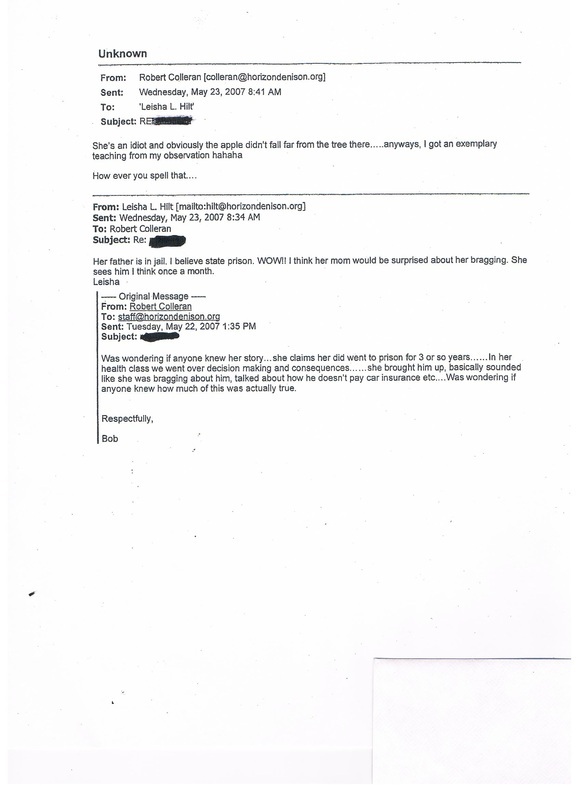 Further, despite White's statement that he (White) could "Corroborate" the perception of harassment through interviews with non-offending teachers/administrators, Wilson, Mills, Ross, Winters, and McGuckin," none of the offending teachers/staff members, Hilt, Davenport/Hilt, Rohde, Tripodis, Jack, Colleran, and Barnett were fired. 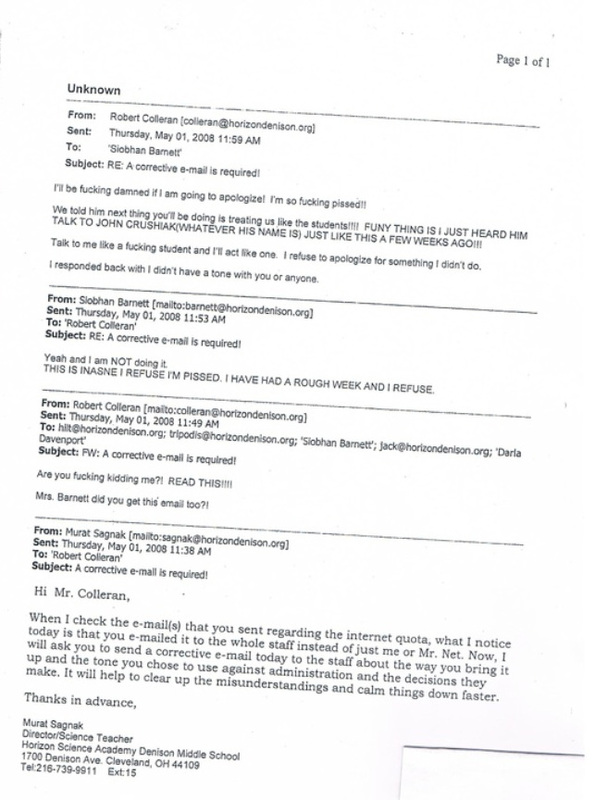 Further, Sagnak, the "Director," was not removed from his position, despite the fact that as early as 2006, complaints were filed with him against some of the offending "email" teachers for email abuse, harassment, and bullying behaviors. 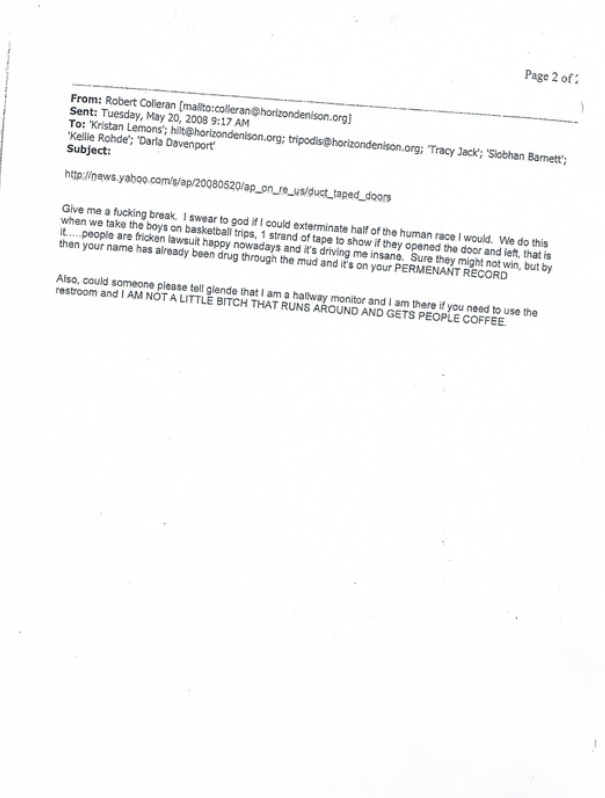 Instead, the Board moved to pay $2,000 for an anti-harassment training class, which the offenders attended for two hours, and then completely disregarded the harassing, racist, sexually explicit, and vulgar language emails as nothing more than a nuisance. 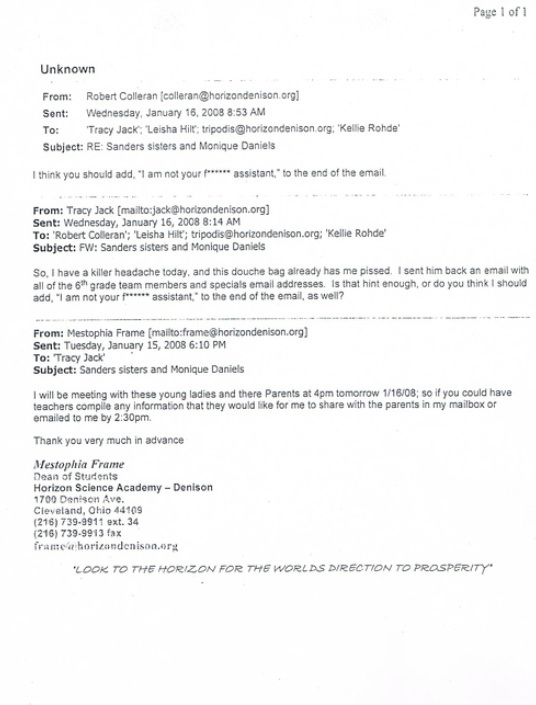 We have to wonder how the parents of the children who then -- and currently attend --Horizon Science Academy Denison Middle School would have reacted if this matter had become public, as it well should have. Teachers are held to higher ethical standards -- as they should be. We entrust the welfare, safety, and education of our children to our educators. 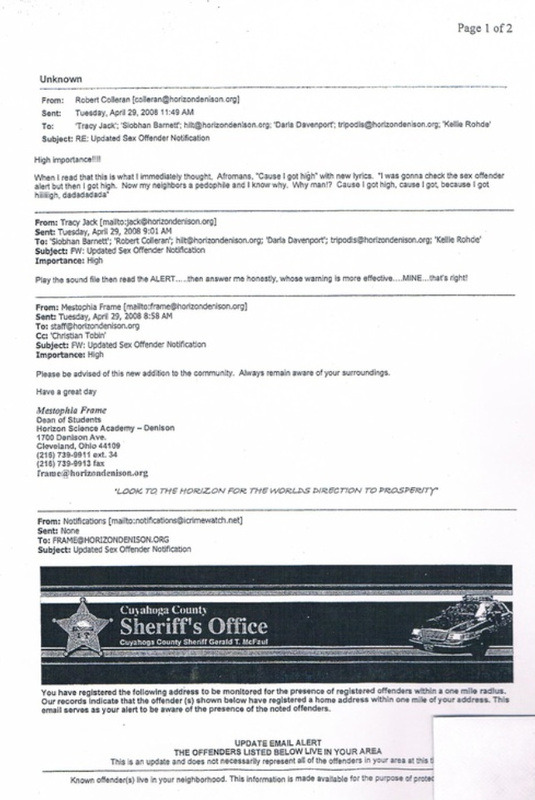 If the educators are bullying and abusing fellow staff members, administrators, and mocking children/students (as the emails indicate), then we as a society have a duty to intervene and make certain that the offenders are immediately removed from positions of authority. Further, it is the duty of the administrators and Board Members to ensure that the staff members and children are able to work/learn in a safe and nurturing environment, and if they -- the administrators -- cannot or will not do their jobs, then they should likewise be fired. 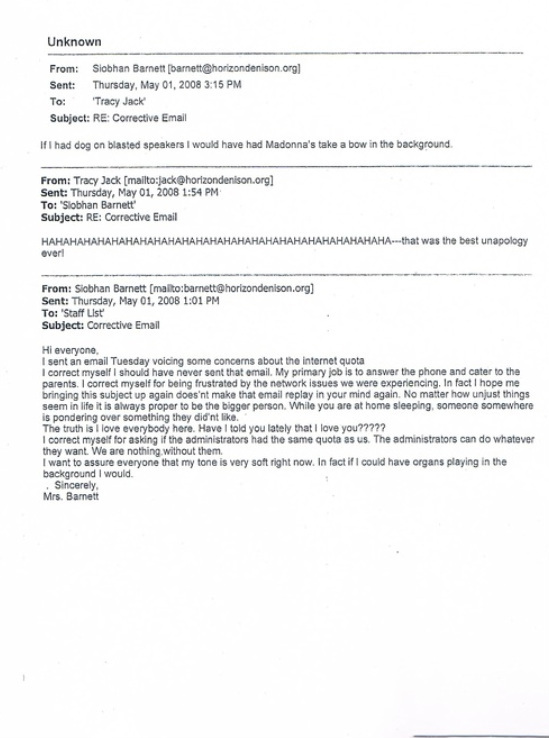 The emails could have and should have been easily "authenticated" by Sagnak, as he had both access and copies of all of the teacher's email files from the school server. 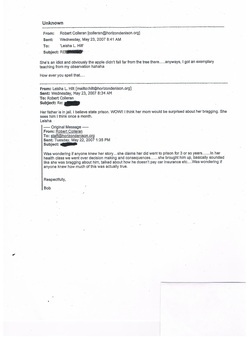 We have to believe that Sagnak and the rest of the gang knew that they could in fact be "authenticated." Are these the people you want teaching and caring for your children? 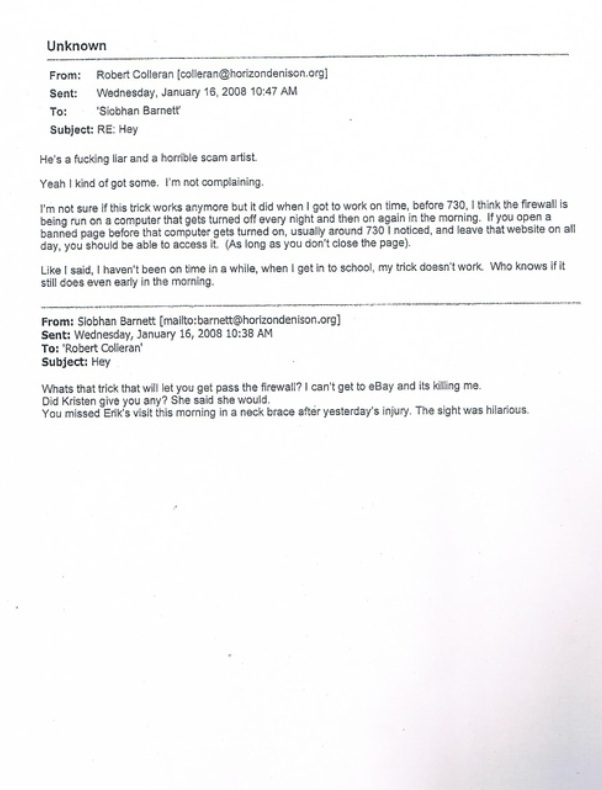 The following emails are part of an EEOC file and copies can be obtained under the Freedom of Information Act. 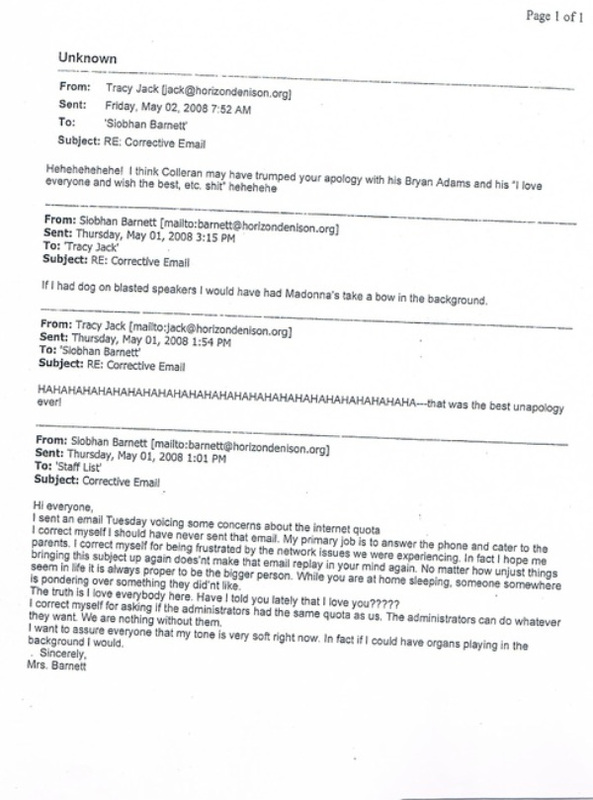 Please note that the following emails contain obscene language and sexual content. 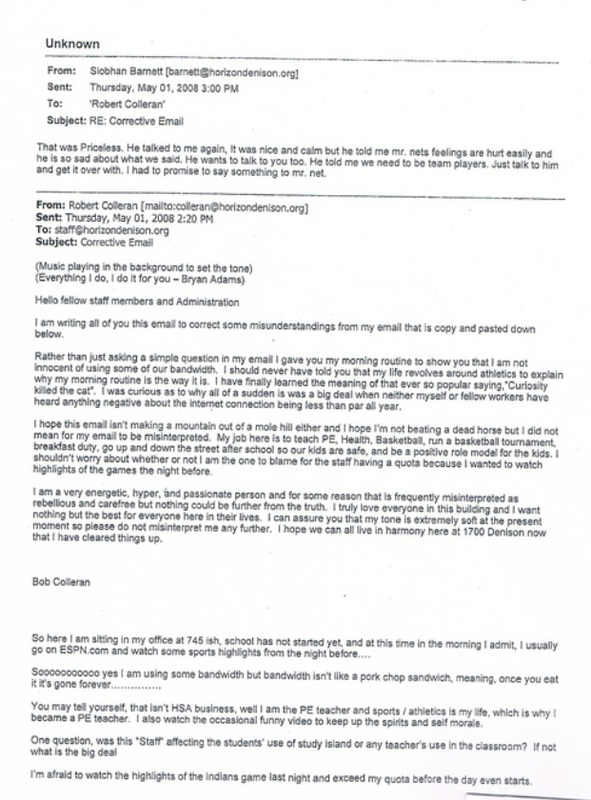 As you read the emails, note that no one is exempt from their bullying. 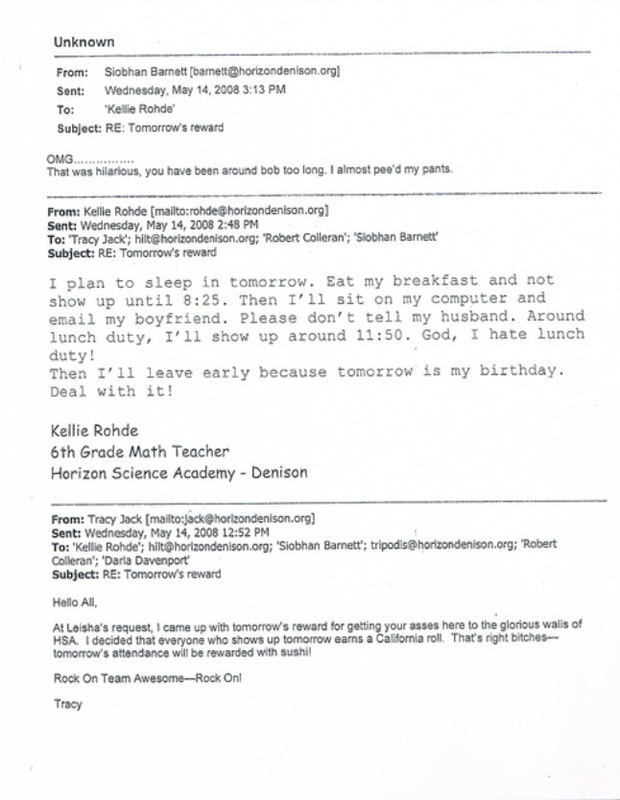 The clique makes fun of administrators, colleagues, students, and parents. 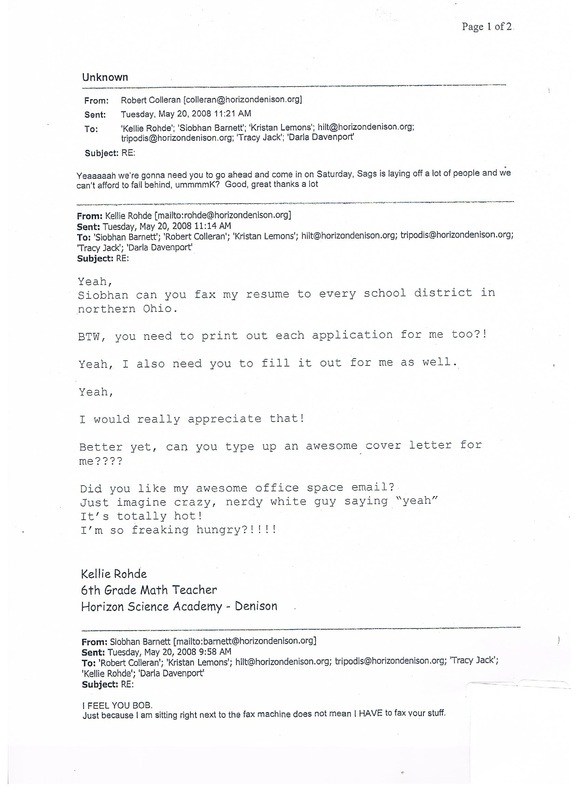 And they are doing this while they are being paid to teach or act like an administrative assistant. 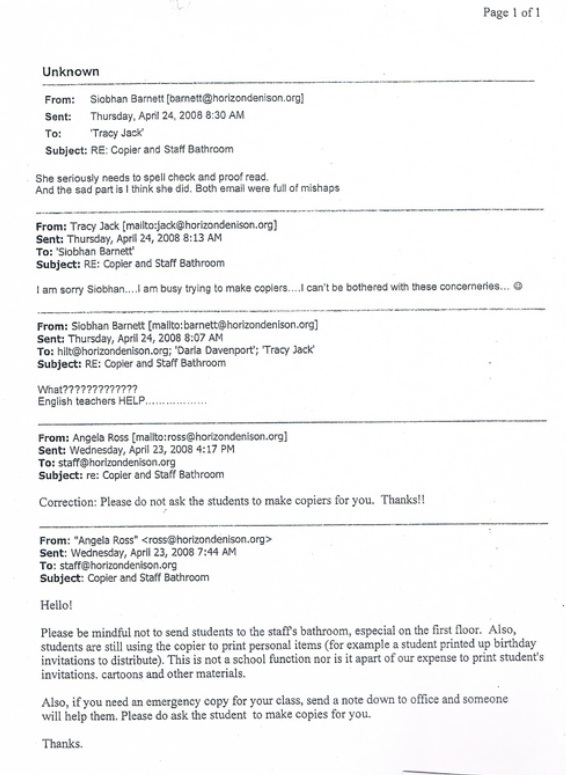 And what were the Turkish administrators doing while these people were "running the school?" 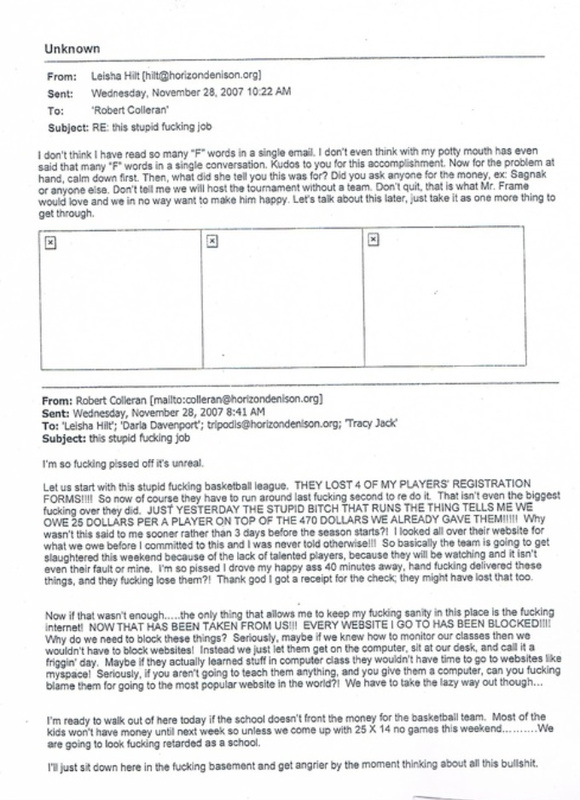 The names of students have been dedacted in order to protect their identities. That is the only alteration made on the copies -- not the originals, which are in their purest form.